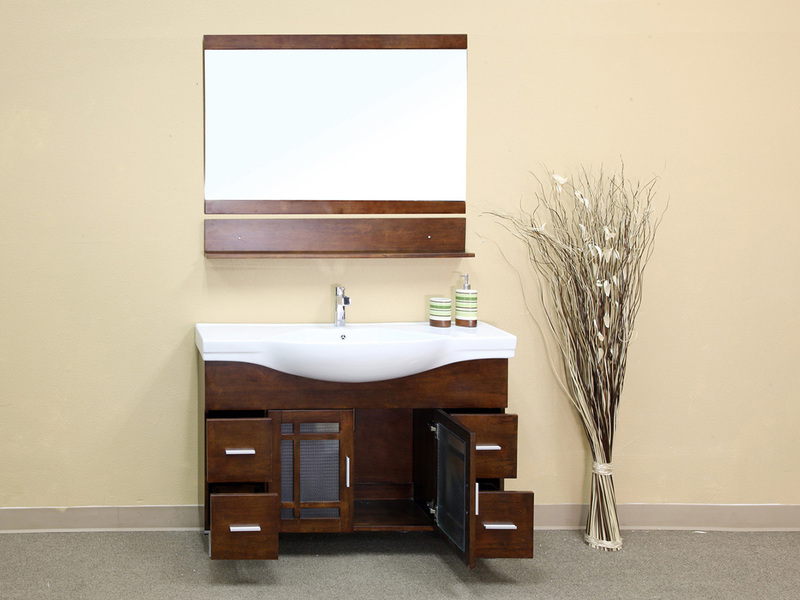 The Palmas Single Vanity has a fantastic modern design that departs from most contemporary vanities. 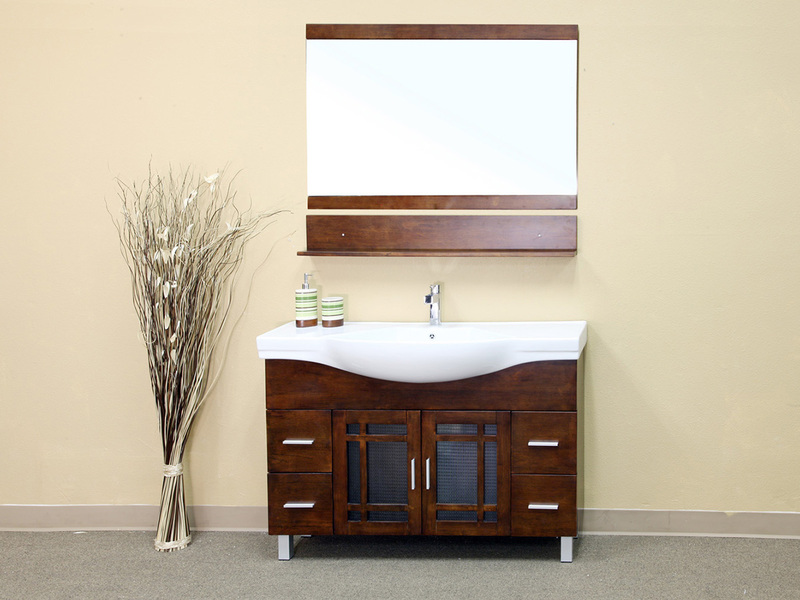 The window pane style doors and curved counter top provide a refreshing break from the clean, flat surfaces that are typical in modern vanities. 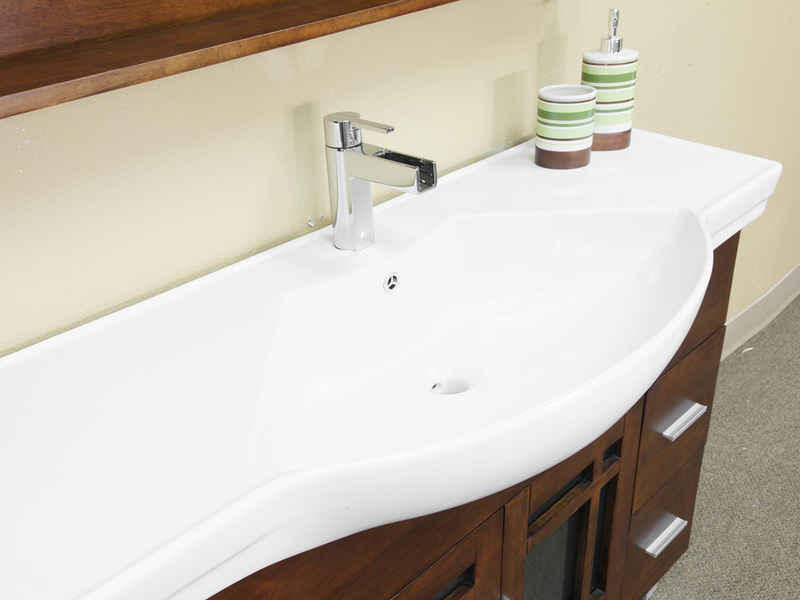 The sink is integrated with the counter top, enhancing the vanity's sleek design. 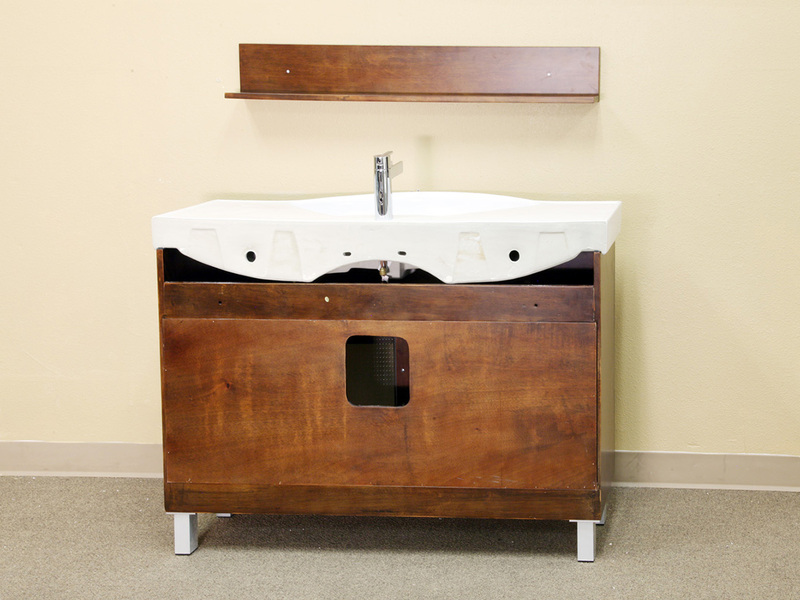 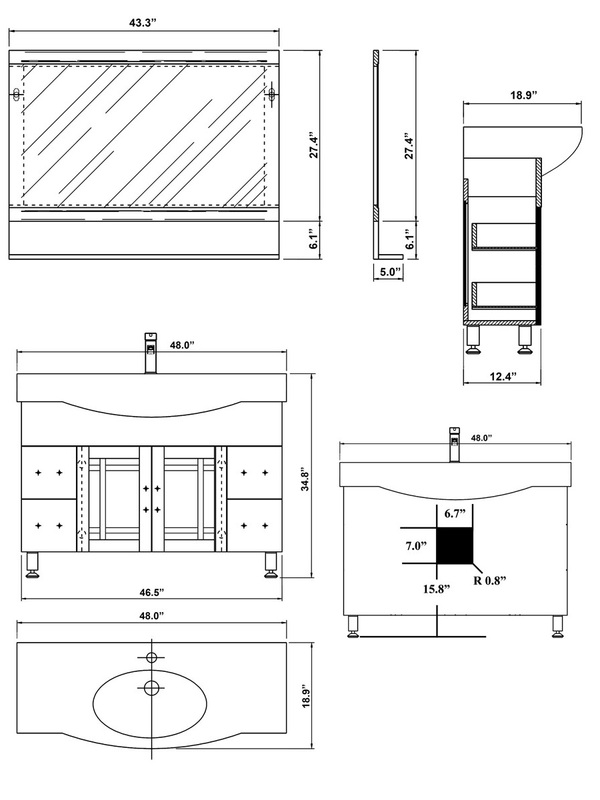 This vanity is as practical as it is beautiful with its four drawers and cabinet providing plenty of storage options for your bathroom accessories. 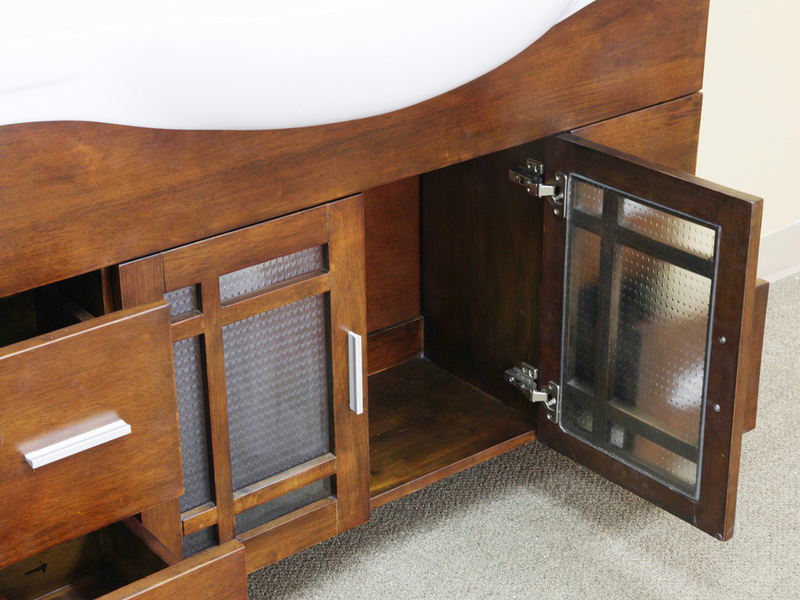 The cabinet is constructed from solid birch wood, which is protected by a water proof walnut finish. 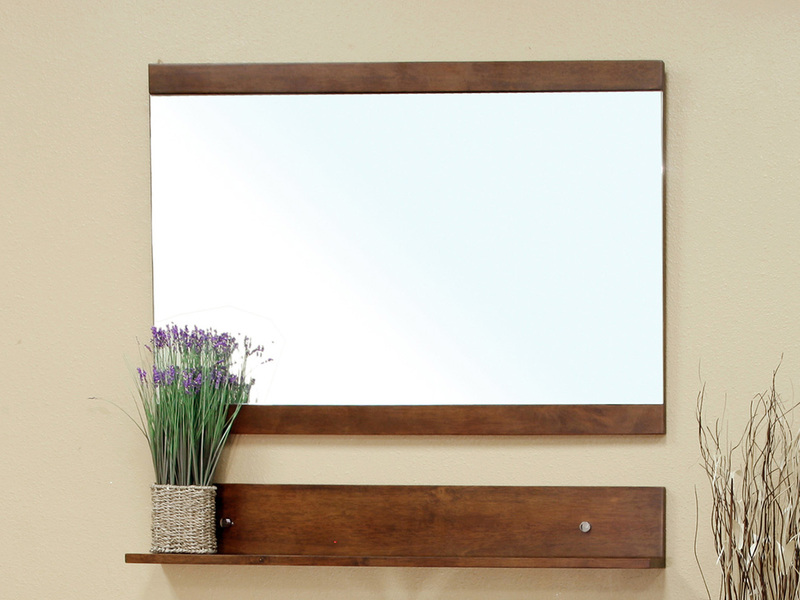 A matching mirror with shelf is also available to complete this vanity's modern look.